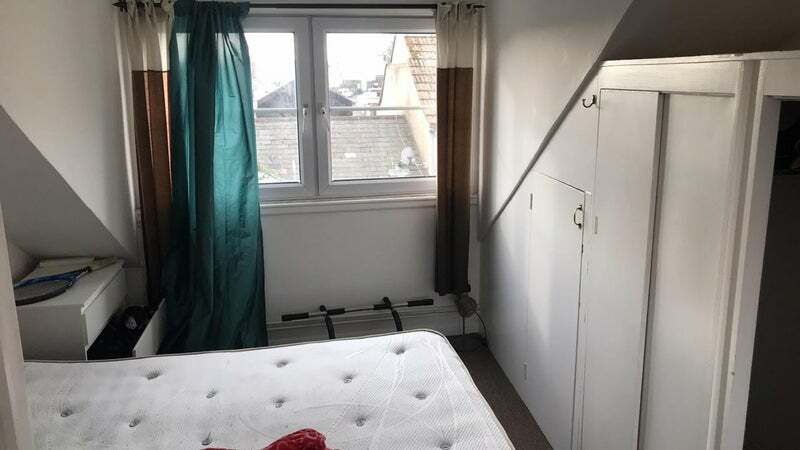 Comfortable double bedded attic room with plenty of space. 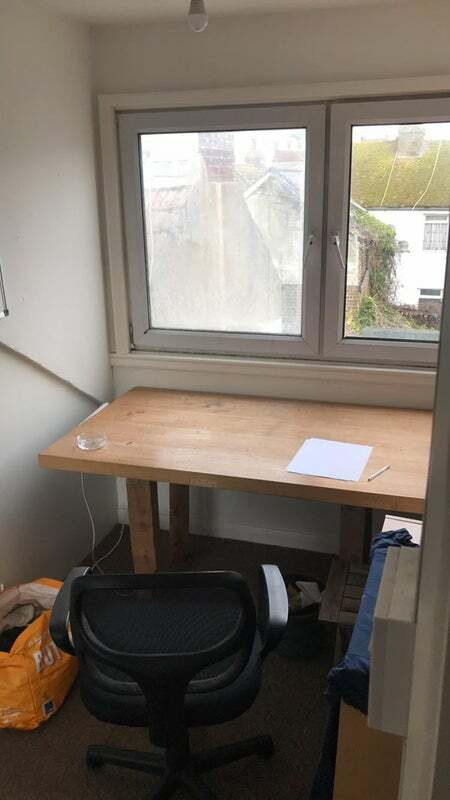 Large built-in wardrobe and desk with a view over the roof tops. You can even climb out on the roof through the window! 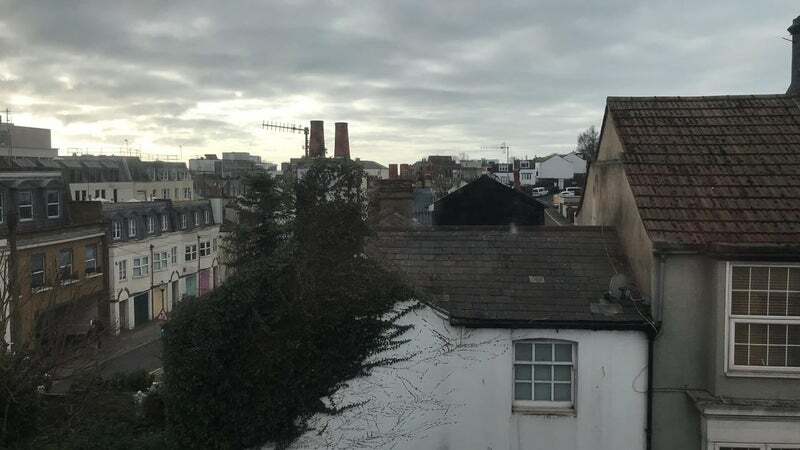 The house is centrally located and about a 2 minute walk to the train station and 5 minutes to North Laine. There is a walled garden with a lot of potential. The house is fully furnished with 3 bedrooms and 1 bathroom with shower over bath. You’ll be sharing with 2 very nice blokes who are both students.